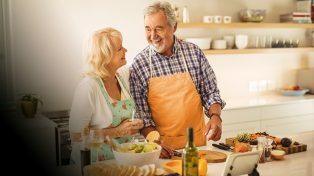 Australians are often told that they won’t have a “comfortable” retirement unless they save a lot more. Governments have legislated to increase the Superannuation Guarantee from 9.5% to 12%, requiring people to save more of their wages for their retirement. But today’s retirees are more comfortable with their financial circumstances than people who are working. Are Australians being asked to save too much? Once retired, many people do not spend down their retirement savings. Why do so many people keep saving in retirement? Do governments need to give people extra tax-breaks for annuities? At this Policy Pitch event, the panel looked at how current generations are faring in retirement, and what kind of retirement we can all expect in the future. 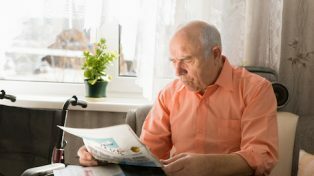 They discussed the policy levers such as the Super Guarantee, superannuation draw-down rules, retirement ages, and the level and means testing of the Age Pension. And they explored the trade-offs that these involve for spending before retirement and for government budgets. Paul Austin, Editor at Grattan, worked for many years as a journalist and editor at Fairfax and News Corporation. He reported from the Canberra and Spring Street press galleries, and was at various times Deputy Editor and Opinion Editor of both The Age and The Australian newspapers. He won a Quill Award for best deadline reporting and was highly commended in the Walkley Awards for best feature writing and the Quill Awards for best columnist. More recently he has been an independent media and communications consultant, specialising in speech writing, editing and strategic and political advice. John Daley has been CEO of the Grattan Institute since it was founded eight years ago. He has published extensively on economic reform priorities, budget policy, tax reform, housing affordability, and generational inequality. He has worked at the University of Oxford, the Victorian Department of Premier and Cabinet, consulting firm McKinsey and Co, and ANZ Bank in fields including law, public policy, strategy, and finance. Peter Davidson is Senior Advisor with the Australian Council of Social Service, specialising in employment, social security, superannuation and tax policies, income distribution and poverty. In his work for ACOSS over 20 years he has analysed and influenced Australian Government policies in these areas. He has contributed to the development of policies including reform of working-age social security payments, youth allowances, job-seeker accounts for unemployed people, proposals to strengthen the personal income tax base and provide State Governments with a robust revenue base to fund community services. He has numerous publications across these policy areas. Kaye Fallick, as publisher of YourLifeChoices website, eNews and eGuides, has over 17 years’ experience in writing about income and lifestyle issues for Australians planning or in retirement. YourLifeChoices is Australia’s longest established and largest digital retirement community, with 250,000 members aged between 50 and 75. In her role as publisher, Kaye is a regular commentator on retirement, retirement income and travel as well as baby boomer attitudes and trends. This includes frequent appearances on A Current Affair, ABC Radio, Macquarie Radio Network, commentary for major digital news sites and speaking at industry conferences. Kaye is also author of two best-selling ‘how to retire’ books published by Allen and Unwin.